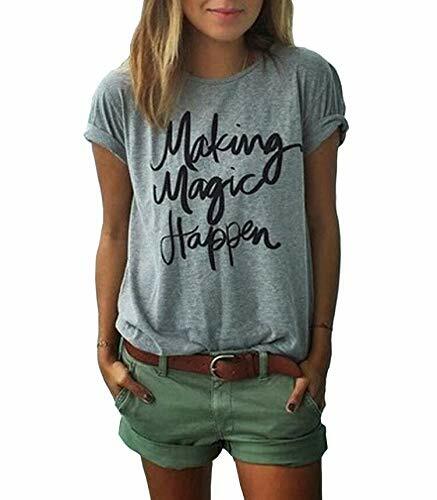 BRAND:Stylish designed and Produced by ZAWAPEMIA Fashion Co., LTD, which is a registered trademark(Registration Number 5109412) protected by both Amazon and US law. We have never authorized other sellers to sell ZAWAPEMIA products. 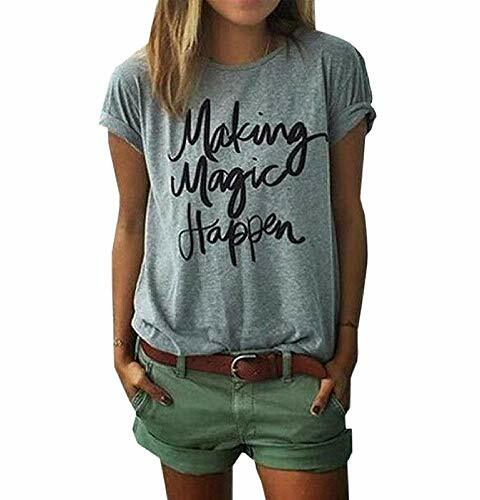 FEATURES:Preferred high-quality fabrics, exquisite cutting process,Cute crewneck,short & Folded up sleeve,super soft super comfy fabric,"Making Magic Happen" print,regular fit,easy matching with your shorts or jeans or skirts,you will not regret choosing this tshirt. 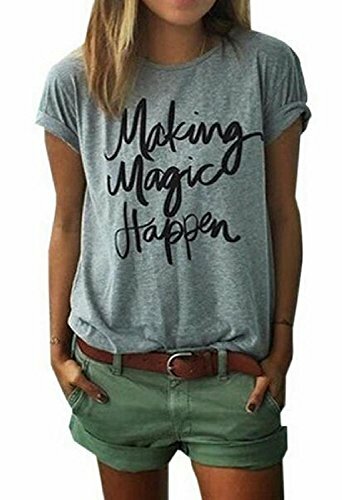 OCCASIONS: Casual/Working/School/Beach or anywhere you like. GARMENT CARE: Hand wash recommend, pls wash seperately,no bleach,hang to dry.No shrinking No fading after wash. CHARITY:8% goes to suicide prevention and awareness charities.